Retaining customers is an art that every service provider needs to practice and learn with the passage of time. Every business owner understands that it is not possible to retain customers without providing them with a service of premium quality. Irrespective of the composition of your customer base or the group you target, you should always know and understand that a customer once acquired is not there forever. This is the reason one needs to adopt strategies for retaining customers effectively. Like any other human being, your customer also needs care and compassion. If he does not get that from the one he expects, he chooses to be rebellious and walks out. As a service provider, it is your duty to understand that no customer would stick to you unless you are fulfilling his demands and expectations. This is especially true for the customers in today’s world who understand that they have an extensive range of service providers to choose from. Therefore, if your service does not work for them, they can switch over to a different company within no time. In addition, other factors like technological innovation as well as the improvement of services on a consistent basis also encourage organizations to serve customers better. Since competition continues to intensify in every area of business, business owners have chosen to look beyond in-house resources and opted for call center outsourcing services. If we look around, we would understand that the customer service industry is flourishing like never before. This is not simply because of the cost benefits that the customer support hubs in various parts of the world offer, but also because of the need that drives enterprises. Since each one of them wants to develop a competitive edge over its counterparts, joining hands with an efficient outsourcing partner helps. Although there are many small and large outsourcing hubs, Indian call center companies remain the first priority of service providers in different parts of the world. Despite a very good image on a global front, the contact center companies operating in Indian markets cannot afford to sit back and rest on their laurels. In the light of this situation, let us examine the reasons why global business conglomerates look to India for customer service. The first thing that prompts any company to look to India is its skilled population. Majority of Indians, whether working in the call center business or not are fluent in spoken as well as written English. This gives the Indian enterprises an impressive advantage over the call centers operating in other nations. India definitely scores over many other countries, even when it comes to technical infrastructure. This implies that no matter the company to with which you partner, your customers would be assured of uninterrupted customer care whenever and wherever they desire. Equipped with the most advanced technology as well as infrastructure, the Indian service providers can truly contribute significantly to the growth story of your business. Not only do Indian contact centers fulfil the requirements of a global clientele, but also operate in a booming domestic market. There are indeed many organizations that need to cater to the requirements of the local Indian populace. 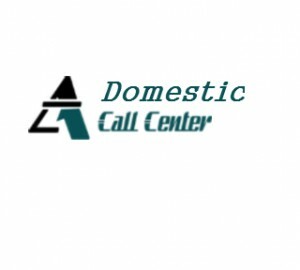 As a matter of fact, plethora of call centers mushrooming all over the Delhi-NCR region stands evidence for it. When it comes to the usefulness of services, it is not less than surprising to know that every domestic call center in Noida has the capability of handling customers in a professional manner.